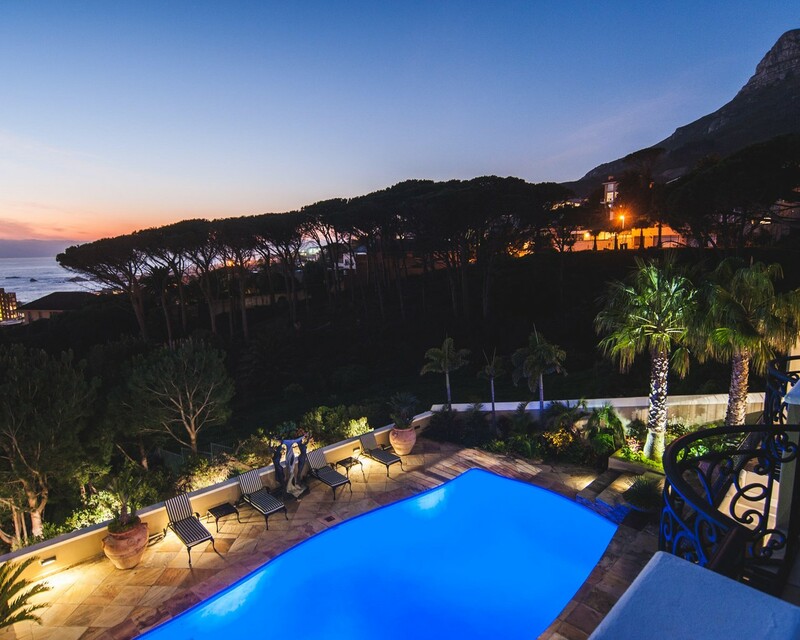 Sign up and receive Property Email Alerts of Villas to let in Camps Bay, Cape Town. A Riviera-style Villa set in Camps Bay. Boasting a lush garden and large solar-heated pool this Villa provides great accommodation for families. Set on 3 floors, the Villa features 2 spacious TV lounges of which one is fitted with a wood-burning fireplace. The top floor hosts three bedrooms that lead onto sun terraces with views stretching from Lions Head across Camps Bay to the Twelve Apostles. The fourth bedroom has an en-suite and is located on the pool floor. The property offers a fully equipped kitchen with separate scullery that flows onto the dining room with an exotic fish tank overlooking the lounge. The terrace is spacious and has ample outdoor seating and is perfect for outdoor dining. Camps Bay is a great choice for tenants interested in beaches, wine and food. Sign-up and receive Property Email Alerts of Villas to let in Camps Bay, Cape Town.